I have done a detailed post on Sugar Cosmetics It's A Pout Time! 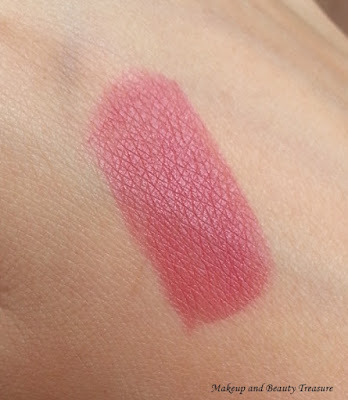 Vivid Lipstick in Mad Magenta and you can read the details regarding packaging and formula HERE. Peachy Little Liars is a super gorgeous neutral warm pink color with matte finish. 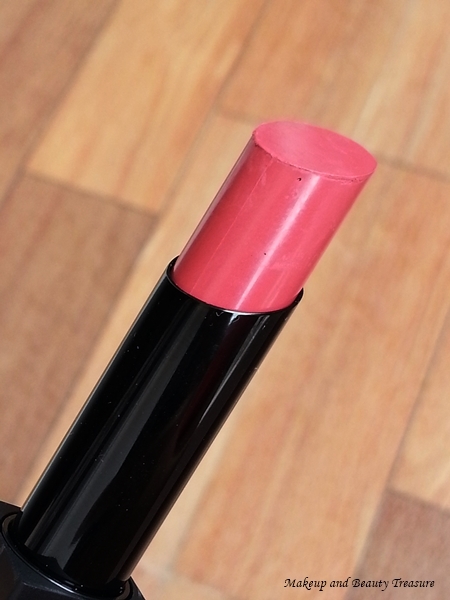 It has a creamy formula and feels comfortable on the lips. It is perfect for everyday wear and especially for office goers. The pigmentation is good. It gives true color in 2 swipes. The color is just perfect and would suit all Indian skin tones. This has been my favorite lipstick since the time I got it in my Fab Bag! As it is a light color, it vanishes away with full meals but with light meals it fades a bit but you can still see a tint behind! - Sugar Cosmetics has beautiful shades to choose from! - Creamy and moisturizing formula! - Does not bleed or flake! - Can be applied on non-moisturized lips! - Applies easily onto the lips! - Does not long last if you have heavy meals! I really do not mind as I am absolutely in love with this color and I would not mind reapplying it! Sugar Cosmetics It's A Pout Time! Vivid Lipstick in Peachy Little Liars is one of the gorgeous peachy pink I have tried recently. It has a creamy formula and feels moisturizing on lips. It is great for everyday wear and I would highly recommend it to everyone! - If you want the lipstick to last longer, apply the lipstick and blot off excess on tissue paper. Redo this 2-3 times depending on your preference! - Store the lipstick in a cool, dry place! - If you have extremely dry lips, apply the lip balm 10 minutes prior to lipstick application! Have you tried Sugar Cosmetics It's A Pout Time! Vivid Lipstick? What is your favorite shade? Its a great everyday wear lipstick. Go ahead and get it! I wish u could show us how it looks on ur lips too.. but nice review love.. It looks more peachy on my lips! Nice color, I have tried other shades from this range. Do try this one too. Its fab! Peachy pink perfect.. the shade looks gorgeous.